Are you looking for great horseback riding, beautiful scenery, and the opportunity to see life differently? On ranch vacations, this just happens, but with the Cowgirl Retreats at Bonanza Creek, we have added a whole new dimension. Life coaching with a horse is not only fun, but life changing. It is an adventure like no other. There is no better place for change than the breathtaking mountains of Montana. At Bonanza Creek, you will be pampered with home cooked meals, massages, the fuzzy muzzle of a horse, and that much sought after peace and quiet. While on the ranch, you will gain strength and courage through the horses, your coaches, and riding this beautiful, empowering country. This is an opportunity to realize what no longer serves you in your life and nourish what does. Grit and grace go hand in hand in transforming your dreams. Listening to your horse is easy and natural in this pristine land. 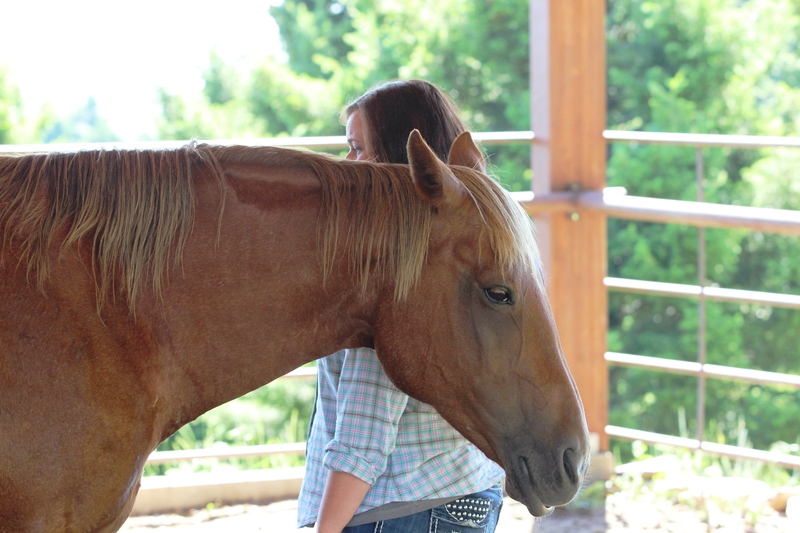 You become aware of how horses know us and how they help us become our best selves. They have no expectations and no prejudices. They are beautiful listeners and teachers and bring into our awareness what we already know. Are you searching for deeper meaning in your life? looking for a new career path? experiencing significant life changes? searching for hope? or in need of healing after a rough relationship or loss of a loved one? Maybe you are simply ready to let go and live a more fulfilled life. 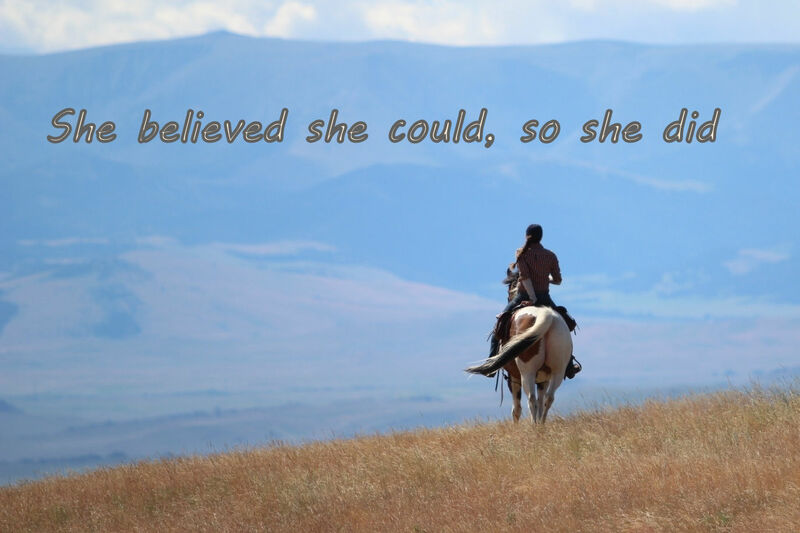 Our Retreats were created by a Cowgirl for Cowgirls. 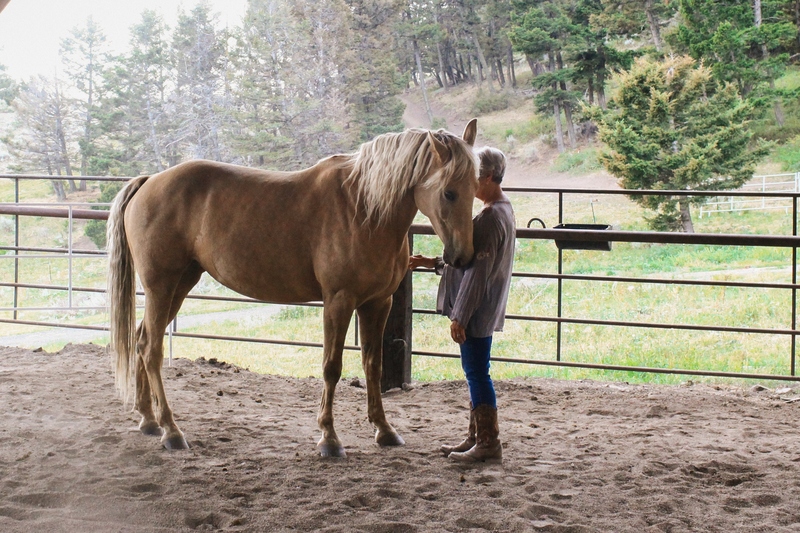 The coaches at Bonanza Creek are life long horse women and have created an experien ce where you will learn, grow, let go, and find connection in the presence of a horse. All of our coaches have been certified under the Equine Gestalt Coaching Method®, graduating from the Touched by a Horse Program. We offer three Cowgirl Retreats throughout July and August which are either a 3 or 4-night retreat. In the mornings, learning will be on the ground and in the saddle. In the afternoons, we will be off and riding this big wonderful country, and then back to the lodge for another satisfying meal and a good night’s sleep in your own cozy cabin. Horses, big sky country, new friends, ah-ha moments … What a way to get away!